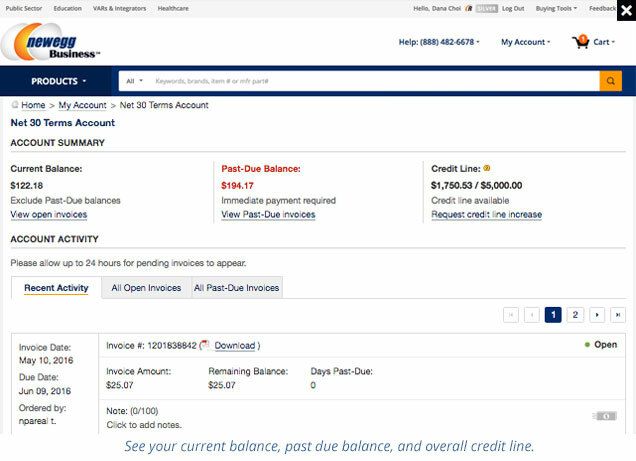 Why Apply for a NeweggBusiness Net Terms Account? Centralized account management dashboard for primary users. 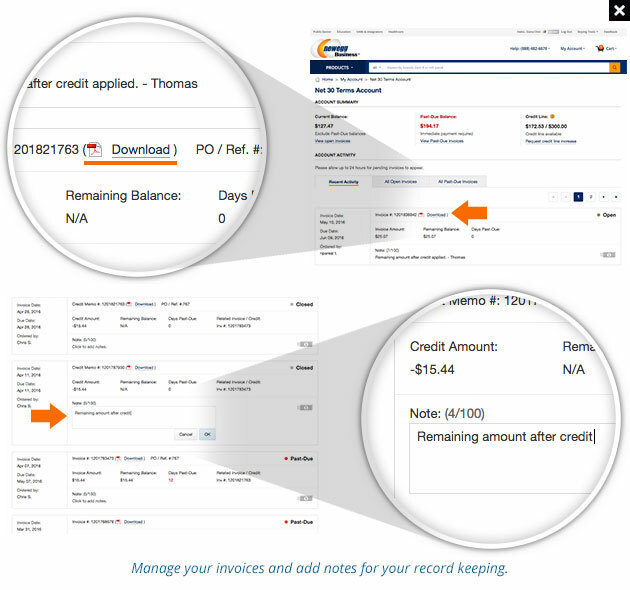 View all invoices in a printer-friendly PDF format. Manage and increase your spending limits. How Do I Apply for a Net 30 Terms Credit Line? Access your account dashboard and locate the "Apply" link within the Net 30 Terms Account section. You must have a NeweggBusiness account prior to applying for Net Terms. Send us an email to request an application to complete and return. Who is eligible to apply for Net 30 Terms? Only the primary account holder is eligible to apply. However, the primary account holder can authorize sub-users under the account to use the credit line. Allow approximately 5-10 business days for processing. An e-mail will be sent to you regarding your application status. If for any reason we have questions about the application we will contact the primary account holder. Additional questions? See the Net Terms FAQ or call (888) 482 - 6678. *Please Note: NeweggBusiness periodically reviews credit usage and reserves the right to modify or cancel the approved limits.